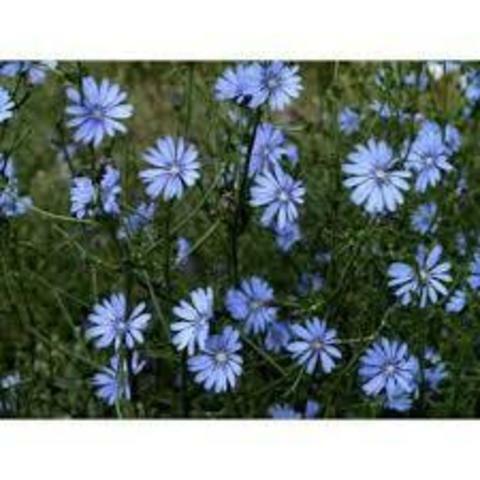 Chicory produce a perennial wild flower that is not only lovely but beneficial as well. 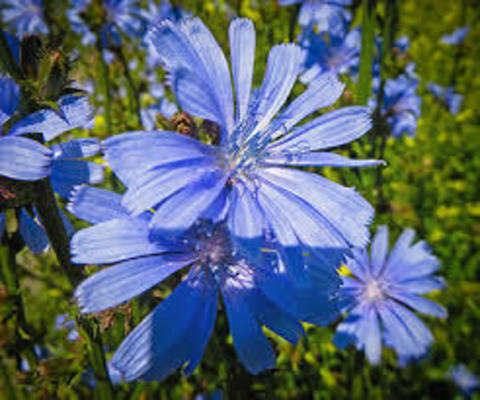 Chicory plants grow easily from flower seed in sunny locations and in well-drained or moderately drained soils. Cichorium Intybus plants have clusters of 1 - 3 daisy-like flowers, in brilliant pastel blue. A well-known edible plant, the roots being ground for “chicory coffee”, a specialty of Cajun cooking in Louisiana. Leaves have been used since Roman times for medicines. 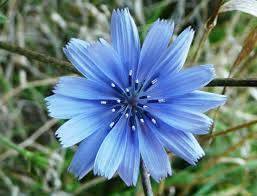 But the electric blue flowers are what makes chicory famous.